I’ve been anxious to see how our surging market is effecting list price to sale price ratios and how quickly homes are selling. And I wanted to see how actual, individual homes are being effected, not statistics, not %’s of this or that. And I wanted it to be limited to homes that were listed this year, so that it would reflect how both sellers and buyers are approaching the market this year. 5200 E Calle del Ciervo, Tucson, AZ 85718 - listed 1/4/17 for $300,000, went to contract 2 days later and sold for $290,000. 3732 E Windy Point Drive, Tucson, AZ 85718 – listed 1/18/17 for $425,000, to contract that same day and sold for $425,000. 4800 E Placita Tres Vidas, Tucson, AZ 85718 – listed 1/20/17 for $475,000, to contract 6 days later and sold for $475,000. 5424 E GLENEAGLES Drive, Tucson, AZ 85718 – listed 1/6/17 for $512,500, to contract 1 day later and sold for $494,500. 7291 E Desert Moon Loop, Tucson, AZ 85750 – listed 1/6/17 for $624,900, to contract 1 day later and sold for $625,000. 4239 N Placita De Sandra, Tucson, AZ 85718 – listed 1/19/17 for $649,000, to contract that same day and sold for $640,000. That’s it for now. As the year progresses there will be plenty more for us to evaluate. And for you number crunchers these 8 homes sold for 99.55% of list price in an average of 2 days. Wow!! However, this is not a complete picture of the market. There are many other homes that were listed this year that have gone to contract but not yet sold. And others still that were listed this year that have not yet gone to contract. Time will tell. plus one that’s been hanging around for 113 days and another for 595 days were also ‘snapped up’. No such luck in La Paloma, where they are selling, just not so fast. And honorable mention to Ventana CC, 4 contracts in 0, 4, 359 and 1086 days on market. Imagine the indignity of having to wait a month or more for an offer on a $3 million house. A two-bedroom house in Los Angeles listed for $585,000 received 10 offers in the first week it hit the market, with the winner agreeing to pay $640,000. Meanwhile, a four-bedroom house a few miles away, priced at $3 million, sat on the market for more than a month with no offers before selling for $2.75 million in January. The divide in Los Angeles is typical of what is happening across the country. Housing has become a tale of two markets, brokers and economists said, with lower-priced homes selling quickly even as inventory of expensive ones piles up. Nationwide, the number of homes for sale priced below $100,000 fell 8.6% in January from a year earlier, while the number of homes priced above $1 million rose 15%, according to the National Association of Realtors. Economists said a number of factors are creating the divide. On the low end, after a slow recovery from the housing bust, first-time buyers are finally returning to the market, bolstered by still-cheap mortgages. But after years of little new construction, inventory is still tight. High-end buyers, meanwhile, are more sensitive to the stock market’s struggles this year. ( “sitting a little longer” eh. – In the Catalina Foothills homes sold up to $600k sold in a median of 50 days while those (few) sold at $1million or more took 141 days. Here’s a look at some of the homes that have sold since January 1st; at what they were listed for, what they sold for and what Zillow thought they should have sold for. 5570 E Paseo Bueno, Tucson, AZ 85750 was listed for $575,000 and sold in 25 days for $533,000. The big Z hit the nail on the head calling it at $533,867. But for some reason, even though it closed a week ago, Zillow still does not show it as sold, but merely as Pending. ?? 4375 E Pinnacle Ridge Place, Tucson, AZ 85718 was listed for $679,000 and sold in WOW! 3 days for $679,000. Calling it at $673,205 Zillow nailed it again – but once again they do not show it as sold but merely as off the market, despite its having sold almost 3 weeks ago. What gives Zillow. 5710 E Paseo Cimarron, Tucson, AZ 85750 was originally listed at $765k, reduced to $735 reduced to $699 and sold in 195 days for $690,000. Zillow low-balled it at $621,280 and, despite closing on 1/14, still shows it as Pending. 5050 N Camino Arenosa, Tucson, AZ 85718 listed for $749,000 it sold for $717,000 after 129 days, with no price cuts. At $660,642 Z missed the boat. Though they correctly show that it sold on 1/11 for $717. Why do they get the sold date & price correct on this one and not the others. Earth to Zillow, can you hear me now .. The travails of 7171 E Desert Star Court, Tucson, AZ 85750 – First listed in August 2012 for $879,000 then > $849, $799, $749, $725, then in the gold rush month of August 2014 for $995, then $949, $925, $899, $874, $862, $837, $799 and finally for $774, causing it to sell on Jan 9th for $720. Hip-hip .. But don’t blame the sellers, they were probably just going by Zillow’s $1,125,312 zestimate and figured they were pricing it cheaply. 3031 E Placita Los Siete Adobes, Tucson, AZ 85718 – was available for $895,000 (but was not yet in the MLS) and sold in 0 days (off the market) for $840,000 on 1/12. Zillow had it at $533,309 and does not show the sale. 6223 N Desert Moon Loop, Tucson, AZ 85750 – was listed for $979,000 and sold for $950,000 in 55 days. It appears that Zillow is bullish on Ventana because along with Desert Star Court up above (which they totally blew) they had Desert Moon at $1,078,467. 4991 N Avenida De Castilla, Tucson, AZ 85718 – was listed in Nov 2014 for $1,275,000 dropped to $1,175,000 , $1,139,000 and sold for $1,095,000 two weeks ago. Zillow nailed it at $1,118,545. Yet they don’t show the sale, they just show it as off the market. And finally, 5980 E Terra Grande, Tucson, AZ 85750 – listed for $1,649,000 sold in 44 days for $1,550,000. Given the price that’s an exceptionally quick sale these days. But since Zillow liked it at $1,780,353 it may have looked like a bargain. And Zillow also shows the sale date and sale price correctly. More evidence that, unlike the bad old days, a majority of the homes that are selling these days are selling reasonably close to list price , because list prices are now more reasonable, and they’re selling fairly quickly, too. On the other hand Zillow appears to be losing their famous edge. Because without the latest sold data they can’t feed the algorithm and if they don’t feed the algorithm their zestimates won’t reflect current market prices and will become less accurate. Not to mention that without sold data they are bound to lose some viewers. Starting in January and continuing into March more homes are listed for sale in the Catalina Foothills than at any other time of year. Meanwhile, in January, buyers are still warming up and kicking tires. So initially, until buyers really get going, the supply of homes for sale far outstrips the demand. And consequently the MOI (months of inventory) numbers are very high. I was reminded of this when I updated the Market Snapshot figures this morning - the MOI for all price ranges are way high. Because, since Jan 1 there’ve been 97 new listings and another 54 relisted old listings. And even with the 40 contracts I mentioned in the post just below this one, that’s 111 more listings than contracts. For now. On 3 recent offers I made for buyers I was representing I was surprised to find there were other buyers also making offers on the property – incredibly enough, we were in a bidding war. And on another property, where we just beat the other buyers to the punch, they made a full price cash backup offer a day or two after we had put it in contract. And a month later, on the day before we closed, the backup buyers offered my buyers 12% (about $137,000) over my buyers offer. My buyers declined. And these weren’t cheapo homes, they were priced from the high $900’s to about $1.250. And then just the other day I got into a 3-way bidding war on a home listed in the mid $600s. Unfortunately, we lost that one. If it were just one or two instances I’d chalk it up to ‘whatever’, but 4 times in 6 or 7 weeks is not ‘whatever’. It’s a pretty good sign of a stronger market. Of course this sort of thing only happens when homes are desirable and attractively priced. After years of the drawn out tug-of-wars over prices between buyers and sellers, increasingly we’re seeing list prices that are more closely aligned with current market values rather than being based on what the seller paid, how much they have in it or what they wish it was worth. The result is that more homes are selling and, when priced right, they’re selling quicker. 5980 N Placita Del Lagarto, Tucson, AZ 85718 in Shadow Hills. And last September they listed it for $917,995, soon dropped it to $885,000 and about 30 days later it went to contract and sold the other day for $873,000, after a total of 50 days on the market. And by the way, $873,000 is big buck$$$$ in Shadow Hills, real big. Since Jan 1, 2010 146 homes have sold in SH, and just one, this one, sold for $800,000 or more. And last July (not the most opportune time to sell) they listed it for $445,000, soon dropped it to $425,000 and it sold the other day for $412,000 after 113 days. And now, 3+ years after prices hit bottom, we’re also seeing a bit of price appreciation in homes that were purchased since 2011 - 2012.
sold in 2013 for $575,000. It was then listed this past October for $625,000, went to contract in 14 days and sold for $610,000. After all was said and done the sellers didn’t make a nickel, but they didn’t lose their shirt either. Sold in March 2006 for $760,000. Was listed in October 2012 for $800,000 – When you wish upon a star …. Dropped to $775 then to $720 and held on to $720 until August 2015. Finally, in October 2015, they threw in the towel and listed it for $589,900 and it went to contract shortly thereafter and sold the other day for $580,000. My sense is that the tide is turning and that many of those involved in buying and selling homes in the foothills have had it with the unrealistic expectations and stubbornness of the old days. And are now looking forward to, and working both sides of the aisle, to achieve a more rational and normal market. It’s about time. The end of year Market Snapshot numbers support my inkling (mentioned the other day) that the Catalina Foothills market is on the cusp of picking up its pace. Today is day 1 of the New Year and day 1 of our high season for home sales here in the foothills. And while anything can happen in the months ahead, right now I see numerous signs of a market that is primed and ready to sell more homes and the potential for a bigger rise in prices than in the recent past. are we on the cusp of a stronger, more competitive market? As we get ready to close out 2015 there are fewer homes for sale in the Catalina Foothills than there have been all year long; 401 single family homes for sale – down about 20% from the peak in March/April. Traditionally, after dipping from summer into the fall, this is a time when the inventory begins to climb. Yet it’s down about 8% from late summer/fall and down 8% from where it was on this day in 2014. For a few months now I’ve had an inkling that the pace of our heretofore ‘oh so slowly improving market’ is on the cusp of picking up. Because so much of our market is dependent on discretionary purchases by second home and retirement home buyers the foothills market takes a backseat to those primary markets getting back on solid ground before seeing significant improvement here. And by now, and for some time now, much of the country has recovered from the real estate bust and in many cases has met or even exceeded where they were in the boom years. Here in the foothills I’m seeing buyers who have finally put their wariness and fear of buying behind them and are now feeling positive, even enthusiastic, about buying a home. And gone are the days when every buyer expected to make a killing, and would only buy if they could. (besides there are very few killings out there to be made) Realistic list prices have helped, they’re now much more in tune with reality than a few years ago and have lead, if not to rampant bidding wars, to a realization that once buyers do find their dream home they may need to move on it sooner than later. Foreclosures are few and far between (3% of total sales this year vs.....11% -15% in 2010 –2012). Home appraisals and mortgages are clearing the hurdles more easily than in the past. There’s more new home and commercial construction in the foothills than in any of the last 6 –7 years and, I’m told, home remodelers are busier than ever. And in general, and most important, there’s a more upbeat attitude and more confidence from everyone involved in buying and selling real estate in the Catalina Foothills. No crystal ball here, just my observations. I welcome your opinion – just click the Comments tab below this post and fire away. Perfectly situated to count the passing cars on Hacienda del Sol Rd on one side, and to oversee the comings and goings at the Eleven Arches entry/exit gate on the other, 3550 E Camino A Los Vientos was listed for $2,450,000 in 2006. And after some time and no takers it dropped to $2,000,000 in early 2007, but that didn’t do it. So in a daring and counterintuitive move it was raised back up to $2,400,000. But incredibly enough, still no-go. So in 2008 it dropped back down to $1,999,000 and that eventually did the trick - it sold for $900,000 (yep $900k) in early 2009 as a short sale. Boo-hoo. Fast forward to now – it was listed for $1,325,000 this past May, had two price cuts to $1,275,000 and to $1,200,000 and sold today for $1,100,000 ($227/sf). A fairly normal, uneventful and boring sale. Zillow was pretty close at $1,183,013. But once again Zillow doesn’t show the sale and shows that the listing was withdrawn today, 10/21. And of course it wasn’t. What did happen today is the listing changed status from Active Contingent to Pending and then to Sold. And the minute a listing changes from Active Contingent to Pending it disappears from public websites, including my own. I noticed this same pattern the other day when reporting recent sales. Which leads me to wonder if Zillow isn’t getting their listing info, or at least some of it, from public websites. Maybe even from mine, and not from a direct and paid for feed from the Tucson MLS. Wouldn’t that be a twist. I participate in a monthly housing survey conducted by Credit Suisse. The following are the results of the July survey which covers the entire Tucson metro market, not just the Catalina Foothills. Nevertheless, the results indicate that the overall market is on the mend, with strong demand and slowly rising prices. Which is very much inline with what’s happening in the Catalina Foothills. We survey real estate agents, as we believe agents provide an accurate assessment of local housing market trends in both the new and existing home markets. We view an understanding of the existing home market as crucial to homebuilders as it represents over 90% of total sales, and trends in the existing home market often dictate trends in the new home market. Each month, we survey agents about trends in buyer traffic levels, home prices, incentives, inventory levels, and the length of time needed to sell a home. In July, we received responses from 650 real estate agents across the country. We review responses and calculate a diffusion index for each of the questions with levels above 50 indicating positive trends, levels below 50 indicating worsening trends, and a level of 50 indicating a neutral trend. Now you probably think, well of course real estate agents say the market’s on the upswing, what else would you expect. For what it’s worth, I’ve participated in this monthly survey for 6 or 7 years now, and by and large I’ve found that the results and comments by real estate agents have in fact accurately reflected the ups, downs, good, bad and changing mood of the market over the years. • Strong demand trends continued through July, as our Traffic Index accelerated to 72 from 64 in June. Agents noted the improved confidence from buyers. Gradual increases were seen motivating both buyers and sellers, helping to drive activity. However, agents continue to discuss the limited selection of quality inventory. • Home prices increased again in July, with our Price Index landing at 72 in July from 73 in June.• Inventory contracted, as the time needed to sell decreased in July. There are charts in the survey which support the findings but, unfortunately, I’m not able to copy and paste them to this post. The percentage of consumers who believe it is a good time to buy dropped to 61%, an all-time survey low­, right as summer is about to come to a close. According to the July Housing Survey from Fannie Mae, consumer attitudes toward the home-buying environment stumbled last month despite positive home-price change expectations. And the share of consumers who believe now is a good time to sell a home didn’t fare too much better, dropping 7 percentage points to 45%. That may be true on a national level, but as far as the Tucson market is concerned, and as I was quoted in the Credit Suisse survey (under Comments from Real Estate Agents); “Buyers are more confident and upbeat now than they have been in years.” And I’m sticking to it. I just updated the Market Snapshot data and the market is fit as a fiddle for homes listed up to about 1$million. Homes for sale up to $600,000 are still selling like crazy – no news there - and now homes listed up to $999k have also caught fire; the inventory is down to a trim 5.6 month supply of homes and there are 30 homes in contract. And with 8 in contract homes listed from $1.0 to $1.499 may also be starting to see the light of day. Usually there are fewer buyers looking in June but those that are are usually not just tire kickers. In 2008, as the economy was teetering on the brink, some foothills sellers apparently believed that the value of their homes had gone Up. A house in Alta Vista sold in 2004 for $1,200,000 and, get this, was listed for $1,795,000 in January 2009. By the end of 2010 it was still for sale and down to $1,100,000, but still no takers, so it left the market. But all’s well that ends well - it was relisted with a new LA in late 2013 for $1,150,000 and sold recently for $925,000. Desert Garden Drive in Pima Canyon sold for $2,200,000 in 2003 and on October 6th, 2008 it was listed for $3,300,000 and eventually sold in November 2014 for $1,999,500. Ancient Indian Drive sold for $2,650,000 in 2005 and on October 6th 2008, yep, again with October 6th, with the economy in full meltdown, it was listed for $3,599,000. It eventually sold in 2011 for $1.6 and sold again in 2014 for $1.4. So eventually those sellers with visions of sugar plums dancing in their heads had a rude awakening. And when the dust finally settled, which it mostly has, prices for these upper-end homes were drastically re-set. And there were dozens and dozens more homes that went through similar travails. See more > HERE HERE HERE HERE HERE HERE HERE …. And today the economy is in much better shape, the stock market is booming, thank God, jumbo mortgages are cheap and upper-end prices are down. And sellers of upper-end homes, many of whom have been through the wringer, are much more flexible and reasonable than they were. They want out. Yet many high-end buyers continue to sit it out. And I don’t know why. Upper-end sales peaked in 2006 – when prices were at their highest - and sales dropped dramatically after 06. And they basically bumped along the bottom from 2009 into the first half of 2014. And then, suddenly, in the latter half of 2014, sales took off. And of course we were expecting that that upward trend would continue into 2015. But so far it’s not happening. Here it is the end of February and what do have - 4 homes in contract listed at $1million+, but just barely at $1million+. They’re listed at $1.090, $1.195, $1.295 and a biggie at $2.495 – but $2.495 has been in contract since May 2014. So it is by no means a 2015 contract and the other 3 are at the very bottom end of the $million+ market. And just 2 sales so far this year from 2015 contracts – one at $1,005,000 plus the steal in Cobo that went for $1,525,000 (which sold for $3.2 in 09) And that’s it. In 13 – 14 we had a grand total of 5 sales in that price range. But maybe we’re expecting too much. It’s been 8 long years since the upper-end market peaked and 5 years since it hit bottom. And let’s face it, maybe this is it. Maybe this market is not destined to return to those glory days of yesteryear. (as many places in the US already have) Maybe 40 – 50 sales/year at $1.0+ is the new normal. Could be. We’ll see. What got me on this jag was a reader of this blog who wrote in asking me about the doldrums of the upper-end market. Comparing the upper-end market in the Catalina Foothills to that in Phoenix, and wondering why Phoenix is doing so well while Tucson is not. He wondered if there is a problem with the politics or the economy in Tucson that is causing upper-end buyers to stay away. Politics, no thank you, I’m not touching that. And the only problem with the economy in Tucson that I’m aware of - as it relates to high-end home sales - is that there is no big, strong and growing industry that pays really well and would therefore contribute to a more competitive and vibrant upper-end market. And that’s a pretty big problem. Because as it is the upper-end market is largely dependent on the whims of discretionary buyers - buyers of 2nd homes or retirement homes. Buyers who can afford to wait until everything is just so before they buy. Buyers who are aware that there is little competition for the many upper-end homes for sale, many of whom are waiting for even better deals to come along. Phoenix has lots of jobs, high paying jobs. We don’t. And on those occasions when someone relocates to Tucson or Phoenix for a high paying job they need to find a home in a reasonable amount of time. They can’t afford to dilly-dally and wait for everything to be just so. They need to get settled, get their family settled and hit the ground running. In the lingo of real estate, they are motivated buyers. So far this year more listings priced at $1,000,000 & Up have been cancelled or expired than have sold - and that’s counting only the expired/cancelled listings that have not been relisted. 23 listings priced at $1,000,000+ have expired or were canceled and have left the market, vs. 17 sold this year. > lightning strikes twice <, didn’t totally give up, they did, in the end, throw in the towel. And considering that it was a very special house, with little if any real competition, and with a good track record – selling for $2,950,000 in 2006 and $3,100,000 in 2008 - and the price had never been cut, I was convinced they would hold out for closer to $2.4. And might actually get it. And no one’s ever accused me of being overly optimistic about the high-end market. As the season kicks off in January sellers begin to list their homes and they continue to do so into February, March and even April. But as May rolls around, and the season begins to wind down, we see fewer new listings and the number of homes for sale begins to shrink. We’re now at about 470 single family homes for sale vs. mid March when there were about 520, the high for the season. And I expect that as spring turns to summer we’ll see even fewer homes for sale. Because, in addition to seeing fewer new listings, some sellers who didn’t manage to sell during the season will pull their homes from the market during the slower summer months. But even with less to choose from buying in the off season has it’s advantages. With fewer buyers on the prowl, and therefore fewer showings, sellers may be more receptive to an offer that they may not have seriously considered during the season. In May 2008 I wrote about buying in the off season > buying snow blowers in July < and it still applies today. Completed in 2008 as a brand new spec listed for $4,295,000 ($548/sf), 4521 N Hacienda Del Sol sold today for $1,900,000 ($243/sf) after dropping to $2,395,000 in March. ** the list price at time of sale was $3.5 and the final sale ($3.7) included an additional 3 acre parcel that was not included in the listing – hence the over list price sale and a higher %SP/LP than would have been the case. It seems safe to say that swinging for the fences may not be the way to go. In the face of an otherwise ho-hum market (putting it politely) I thought some good news might be refreshing. The choices to include or exclude a particular subdivision in the list of bright spots are based largely on MOI (months of inventory) an accepted measure of how well or poorly an area is doing. And with high inventory in the overall foothills market, and lower sales, it’s worth recognizing those few subdivisions that are holding their own. 6 months inventory is considered a balanced market, much less and it teeters into sellers market territory, much more and it becomes a buyers market. Which is where most of the foothills is, with these exceptions. Pima Canyon is the only upper-end subdivision that’s holding its own. Why? Because more upper-end buyers like Pima Canyon, and they have since the beginning of time. If I’ve overlooked a subdivision that is selling well and should be included, please write-in and set me straight. Click Comments just below and let’s hear about it. From Monday November 11th through Sunday November 17th 16 single family homes went to contract in the Tucson Foothills - one more than the week before. mid-priced tier. And for the upper-end it’s business as usual, no business. This is from an interview with WSJ.com at the World Economic Forum in Davos Switzerland in January 2013, when all the hoopla was predicting another raging real estate market. But Mr. Shiller wasn’t buying it and pretty much foretold the short term rise that we’ve seen in the market and the subsequent decline that we now find ourselves in. And previously posted here > “the cheap talk says we’re off to the races” , also in January. But also, the sellers paid $2.2 in 2006 and, perhaps trying to recoup as much as possible, originally listed it at $1,695,000 ($358/sf). Which is not unheard of in PC, but in this market it probably scared off some buyers. And, just a guess, but they may have looked at a house that sold in PC in February, and used it as the comp - 7562 N WHISPER CANYON Place – which was listed for $352/sf and sold for $344/sf. Makes sense. Except that it went to contract in January, when the season was just kicking off and full of enthusiasm and promise, but by May, when they listed it, the season was ending and the market for upper-end homes was fizzling. On several occasions recently I’ve reported that the Tucson Foothills market has slowed down (HERE HERE HERE) and is even slower (HERE) than it was at this time last year. And now I learn that they’re grappling with a similar slowdown in Phoenix, where, until recently, the market was going great guns. Phoenix has recently been classified as a "balanced market," meaning there is no significant advantage for sellers or buyers in a typical real estate negotiation. However, these improving market conditions have not brought back what many analysts were expecting: more homebuyers. "The big question is why is (buyer) demand low right now," said Arizona State University Director of Real Estate Michael Orr on his weekly appearance on That Real Estate Show. "I'd like to know the answer to that. It's causing me to scratch my head right now, because (buyer) demand was perfectly normal just three months ago." Just like three months ago, Phoenix home prices have continued to rise. According to a report released by Orr and the W.P. Carey School of Business at ASU, the median home price in Phoenix rose from $192,000 in August to $199,000 in September. Orr expects these increases to continue over the next few months. "Demand is the thing that I would like to see improving if the market is going to be healthy next year," he said. "The issue at the moment is a lack of buyers. It's a shortage of buyer demand, which is unusual." There’ve been 7 new listings in PR this year, 6 have sold in record time and the 7th is in contract after 5 days, and that’s not even record time. WSJ.com has an article touting the rebirth of luxury home flipping. There is a new breed of quick-change artist on the real-estate front: luxury flippers who focus on high-end properties. Popular before the housing bust, house flipping—where a property is bought, renovated and sold quickly to make a profit—is seeing a comeback nationwide. Rising prices and tight inventory are driving more investors to the upper end of the market. Flips of homes priced at $1 million or more shot up 35% in 2012 compared with 2011, according to market researcher RealtyTrac. "Investors have actually run out of inventory on the low end of flips, and now they're moving to the higher end," says Daren Blomquist, vice president of RealtyTrac. The million-dollar homes are "the untapped market." Plenty of action at the lower end of the market, barely a showing at the middle and other than the Canyon Ranch deal nothing at the top. 25 contracts since Monday, that’s a lot, but 22 from $199,500 to $599,900, then one at $685,000 and one at $699,900 + Canyon Ranch. 20 days with just 1 contract at $1million & up - 80 for sale – and with Memorial Day right around the corner you’d think we’d see some hefty price cuts, but no, nothing yet. No, nothing. No contracts at $1,000,000+ in two weeks - 79 for sale - and the temperature’s rising. As noted a few weeks ago the high-end market has barely budged since last year. And looking at it today it still hasn’t budged. Plus there are 9 in contract listed at $1.0+. And if they all close, and they all close in May, we’ll be at 26 sales thru May. Last year there were 25 sales thru May. But the truth is, as mentioned in the April home sales report, that sales for the entire market have barely budged since last year. Thru April 30th- sales at $0 – $599,999 were 225 last year / 226 this year - talk about barely budging. But the difference is that $0 - $599 was selling like hotcakes last year and is selling like hotcakes this year, a sellers market, with a small supply of homes and a very big demand. While the $1.0+ market, with a large supply and very iffy demand, was struggling to show signs of life last year, and the hope was that it would grow and increase this year. But so far that hasn’t happened. The biggest jump has been sales at $600,000 to $999,999 – 35 last year / 43 this year. Shorter time to sell reflects increasing buyer urgency: Our time to sell index – a leading indicator for home price trends – increased by another 5 points to 80.8 in March, indicating less time needed to sell a home. We think this reflects rising buyer urgency, driven by improving confidence, a desire to lock in low prices/rates, and a lack of supply across markets (our home listings index came in at 71.7, indicating lower inventory). This should continue to drive prices higher near-term. I’ve participated in this monthly survey for some years and have seen it drop from the giddy heights of the boom to the darkest days of the bust. And now, recently, the mood and expectations, as reported in the survey, are very much on the upswing. Each month, we survey agents about trends in buyer traffic levels, home prices, incentives, inventory levels, and the length of time needed to sell a home. In February, we received responses from 850 real estate agents across the country. We review responses and calculate an index for each of the questions with levels above 50 indicating positive trends, levels below 50 indicating worsening trends, and a level of 50 indicating a neutral trend. I think it’s quite accurate for the foothills as well. OK great, but who the heck is Ivy Zelman? Ms. Zelman is the CEO of Zelman & Associates and holds over 18 years of experience covering housing and housing-related industries at various points in her career. A scarcity of homes for sale and record-low mortgage rates are setting up for a bullish real estate market, Zelman & Associates CEO Ivy Zelman said Thursday on CNBC. "I think we're in nirvana for housing," she said. "I think that I have to tell you, I'm probably the most bullish I've ever been fundamentally, and I'm dating myself, been around for over 20 years, so I've seen a lot of ups and downs." On "Fast Money," Zelman likened consumer sentiment to a battleship pointing down for the past several years. "And then the inventory cleared, the blight goes away, consumers feel better and now it's really this urgency to go find a house," she said. "I'll tell you, there are Realtors blanketing neighborhoods, asking people to sell their homes." Zelman correctly called both the housing market's top in 2005 and the bottom in 2012. 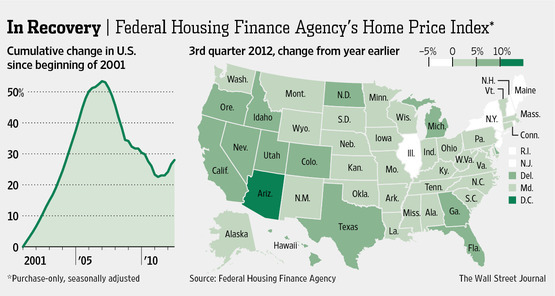 Housing prices are poised to continue rising for the next four to six years, she added. With all due respect for Ms. Zelman’s excellent record in making these calls, but from low interest rates and inventory and more upbeat consumer sentiment she (somehow) gets to Nirvana and rising prices for the next 4 to 6 years. That’s a big leap. Interest rates and inventory are low and consumers are more upbeat. But, unless they’re behaving very differently elsewhere, and they may well be, here in the foothills they’re also treading very carefully and putting a very sharp pencil to any potential purchase. And walking away when it doesn’t add up. Who can predict what’s going to happen in the next 4 to 6 years. Myself, I’d also consider other opinions, including Robert Schiller’s, before counting my chickens. 7 contracts, from $156,000 to $475,000. Late Breaking- 1963 E Quiet Canyon Drive squeaked in just under the wire. Listed for $1,050,000 ($290/sf) it went to contract today after a mere 84 days. Bidding wars. Buyers paying cash. Homes selling for more than asking price. Are we entering another housing bubble? No. But prospective buyers in many markets may be shocked at the competitive nature of the home-buying process these days. The number of homes for sale fell to a 13-year low in January, leaving would-be buyers chasing a shrinking supply of homes just before the spring selling season. "It's not that the prices are crazy, but the buyers outnumber the available homes for sale." There was an average of 4.8 months of supply of existing homes for sale in the fourth quarter, according to the National Association of Realtors (that is, it would take 4.8 months to sell off the inventory at the current pace). Six months' supply is closer to normal, says Celia Chen, a housing economist with Moody's Analytics, an economic research firm. In 2010, it went as high as 10 months. "Prices are starting to rise as a result of the strong demand relative to low supplies," says Ms. Chen. Why they even single out Arizona, along with DC, as having the highest jump in the price index. Ah, not here in the Foothills I’m afraid. At least not if you’re talking about anything priced more than about $500,000 – of which there are 218 for sale, that’s 56% of the homes for sale – or the occasional bargain priced distress sale. But if you can suspend disbelief for 5 minutes it’s an amusing fairytale. Click Market Snapshot up at the top of the page for a quick peek at the current foothills market. However, in the past, the foothills market has trailed other larger markets – NY, LA, SF, and even Phoenix – by 3 to 6 months on both the up and downside. So maybe we’re on the cusp of a big turnaround and just don’t see it yet. I wouldn’t rule it out. 6000 E Finisterra went to contract yesterday breaking the 20 day dry spell on million $$ contracts. It was listed at $1,495,000 after starting out last Feb at $1,695,000. WE’RE beginning to hear noises that we’ve reached a major turning point in the housing market — and that, with interest rates so low, this is a rare opportunity to buy. But are such observations on target? It would be comforting if they were. Yet the unfortunate truth is that the tea leaves don’t clearly suggest any particular path for prices, either up or down. Not so, according to Robert J. Shiller, Yale University professor and housing and markets authority, talks to Neal Lipschutz at Davos on the state of U.S. housing and stocks. Here’s a link to the video on WJS.com > Shiller on Housing & Stocks < if the embedded link above doesn’t play. The 5 highest priced homes to go to contract in this new year are listed at $999,000, $1,175,000, $1,200,000, $1,545,000 and $1,625,000 - and 4 of the 5 were brand new listings (not relisted old listings) that went to contract in 6 days or less. The $1.2 house was gone before sunset on day 1. And they’re not foreclosures or short sales, and they’re not bargain basement priced either. Back in 2009 – 2011, and less so in 2012, it was almost unheard of for homes in this price range to go to contract so quickly – unless they were foreclosures or short sales at blatantly bargain prices. But back then sales and prices were falling through the floor, and with no end in sight buyers correctly assumed that time was on their side. But things have changed. And if these quick contracts are indicative of what is to be, taking a wait and see attitude may leave you empty handed. But all is not rosy, there are still 88 homes listed for sale from $999,000 to $7,900,000, the majority of which have been on the market for months or years with no takers. And I have to assume that for many of them it’s all about price. What else can it be. along with what looks like staged furniture (I never did see it in person) it was listed 29 days ago for $695,000, and is already in contract. Teardowns and more modest remodels to flip, such as this one, were all the rage in Skyline CC before the market fell apart. And maybe, hopefully, this is a sign that the market is strong enough to once again encourage this activity. The short answer is, not much. Since October 1st a grand total of 8 single family homes have gone to contract in the Tucson Foothills - many fewer than you might expect for this time of year. And then there’s the price thing - all 8 are huddled in the $219,000 to $485,000 range – with not even a crumb going to the remaining 184 for sale priced from $486k to just under $8mil. That’s it! Today, with 21 homes going to contract since October 1st, we’ve trounced last year’s record. Left it in the dust. But in the price thing the 21 contracts run just a tad higher than last October, from $143,900 to $624,900 - with nary a crumb going to the remaining 155 for sale priced from $625,000 to just under $8mil. That’s early October for you. With the sweet spot for NYC rental studio apartments approaching 400 sf, yes that’s 4-hundred sf, The New York Times reports on the trend to smaller apartments. (in the good old days it was a roomy 500 sf) And looking to a future where space may be at even more of a premium Mayor Blumberg is hosting a design competition for a 275 sf apartment. Sales have improved since the April report and months of inventory is down across the board. But median sold prices are still a mixed bag, up in one sub-d and down in another, and in some cases the MOI is very deceiving. Take Skyline CC for example. It’s showing just 3 MOI, but the median list is $1,272,500 while the median sold is just $641,000. Does anyone really believe that the high $$$$ homes in there are suddenly going to sell in the next 3 months. I doubt it. Whereas Cimarron, with 9+ months of inventory, is running a median list of $452,500 and sold at $455,000. sub-d’s are still struggling under the weight of homes priced where buyers have dared not tread. **Finisterra and Sabino Mtn., which appear here, were not included in the April 15th chart. And if you happen to hear there’s just a 4.4 month supply of homes in the foothills, it’s true. Sort of. There are 286 homes for sale and 420 have sold since Jan 1. And that works out to a 4.4 month supply. But as you can see, it’s just not that neat and tidy. Home sellers are staying on the sidelines this summer, which is helping to firm up prices in more U.S. housing markets. So, same-old same-old, all but the homes priced over a million are doing quite well. And during the same period last year just 52 homes sold. 40 sold in the bottom price rung, 9 in the middle and 3 at a million or more. So yes, the surge is at the bottom end. How’s that for coincidence. So we sold 48% more (low priced) homes this year yet they sold at the same prices, overall, as last year. And it’s only one month, so don’t break out the good stuff just yet, but until now we’ve been running below last years average and median sold prices. I noticed a new listing today on Sabino Mountain and it prompted me to take a look at what’s been happening up there this year. Here’s what I found. $592,333/$567,000. 3 of the 6 are in the $3’s, then one each at $750, $895 and the new entrant at $925k. And 8 homes have sold in the last 6 months, from $216,000 to $610,000, at an average/median sold price of $346,863/$267,700 – 41% less than the current average list price and 52% less than the median. Also, the highest sale in the last 18 months was $675k. On the bright side, with current inventory of 6 for sale and 8 sales in 6 months there’s just a 4.5 month supply. That is if anyone ventures up to $750 and beyond. Flash back to the glory days of 2006 when during the same 6 month period 12 homes sold from $406,000 to $1,900,000 (yes $one-million-nine on Sabino Mtn) at an average/median sold price of $903,125/$914,250. And 6 of the 12 sold from $1,100,000 to $1,900,000.